Land availability in Iqaluit is limiting new construction and further straining its dire housing situation, according to the Canada Mortgage and Housing Corporation. Land availability in Nunavut's capital of Iqaluit is limiting new construction and further straining the city's dire housing situation, according to the Canada Mortgage and Housing Corporation. In its 2017 northern housing report, the CMHC examined housing markets for the three territorial capitals. 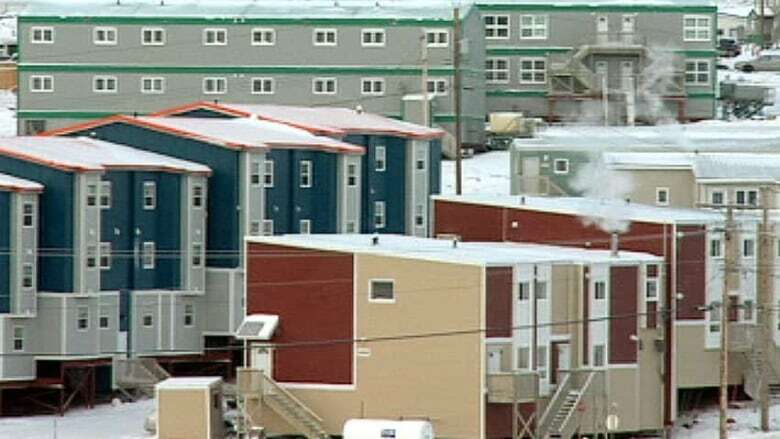 It found that Iqaluit's social housing need is dire — estimating between 160 and 180 units are needed to close the gap — but noted there are currently no new units under construction. After consulting with industry stakeholders, the CMHC determined a lack of available land is partially to blame. However, the report notes that there are plans to extend the Road to Nowhere community in Iqaluit, which could increase potential areas for construction. Average rents in Iqaluit remain among the highest in Canada, with average rents for a two-bedroom coming in at $2,597 per month. According to the report, two thirds of Nunavut's population cannot afford market housing without assistance from their employer or the government. 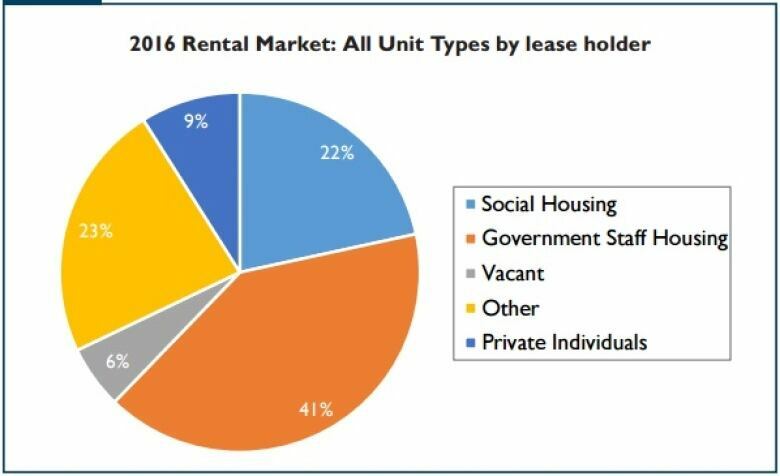 As a result, the vast majority of rental units in Iqaluit are either social housing, government staff housing, or rented by businesses for use by their employees. Just nine per cent of rentals in Iqaluit involve private citizens renting directly from landlords. The report noted that Nunavut's population continues to grow — a third of all households have five or more people in them in the territory. This will translate into a need for not just more social housing, but units with multiple bedrooms. 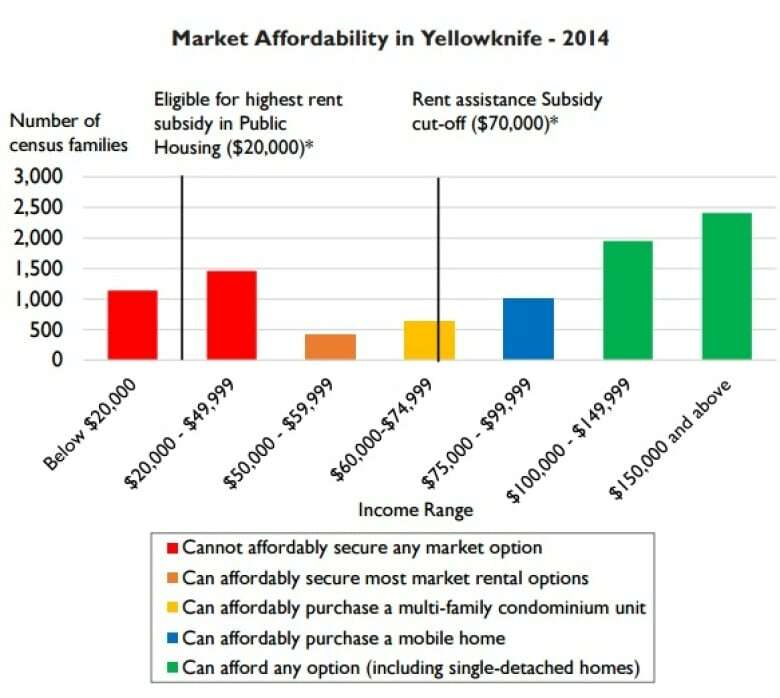 Yellowknife's housing market was a mixed bag in 2016. Despite a net out-migration for the territory (615 more people left the N.W.T. than entered it in the last two years), housing sales rose by 33 per cent in 2016. The majority of the increase came from the growing demand for condominiums and mobile homes. As a result, the average home sale price in the city declined by one per cent, to $395,500. Builders began work on 59 single-detached homes in the city in 2016, the highest number since 2004, and a 40 per cent increase from 2015. Increased demand for lower-cost housing and slowed down mine activity has caused rental costs to level out: average rent for a two-bedroom unit declined from $1,700 in 2015 to $1,636 in 2016. The report used census data to estimate that most of Yellowknife's population — 72 per cent — can afford to rent or own at market rate without requiring government assistance. However, it also noted that many government subsidy programs are being underused. Only 68 people across the N.W.T. took advantage of the NWT Housing Corporation's Transitional Rent Supplement Program in 2015. The program provides up to $500 a month in rent for up to two years for families that earn under $70,000 and pay over 30 per cent of their income in rent. The report didn't address Yellowknife's ongoing homelessness crisis. 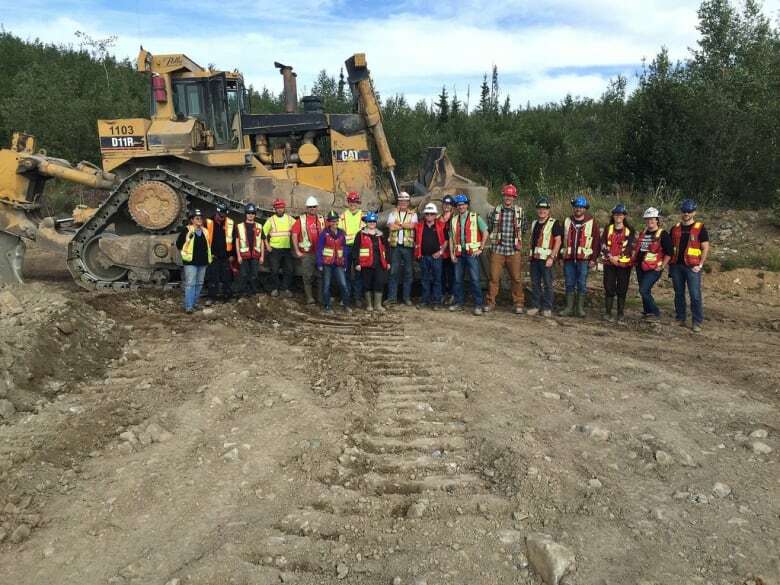 Workers at Yukon's Minto mine in 2015. A surprise extension of the mine in early 2017 has led to an economic upturn. (Capstone Mining)Whitehorse experienced a rebound year in 2016, with the economy bouncing back due to higher mining output and forecasts remaining strong for 2017. That translated to the highest level of rental construction in the city in over a decade. However, increased demand led the rental rate to increase slightly, from $1,029 (on average) for a two-bedroom unit to $1,083. The capital also saw an 11 per cent increase in home sales in 2016, a pattern that CMHC is suggesting could increase as economic conditions continue to improve and more people transition to home ownership. Average prices for home sales increased by five per cent, to $380,000. For 2017, CMHC is predicting that number will continue to increase — due to fewer listings and new builds in the city — to between $394,000 and $404,000 this year. CMHC was more bullish on Whitehorse than either of the other territorial capitals, explaining that optimism in the area could also bring in more people from out of territory, increasing rental demand.